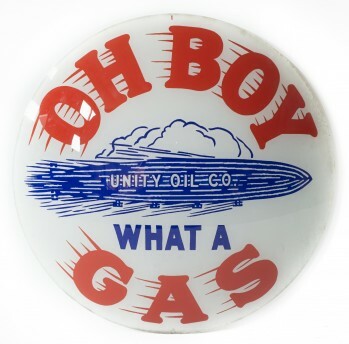 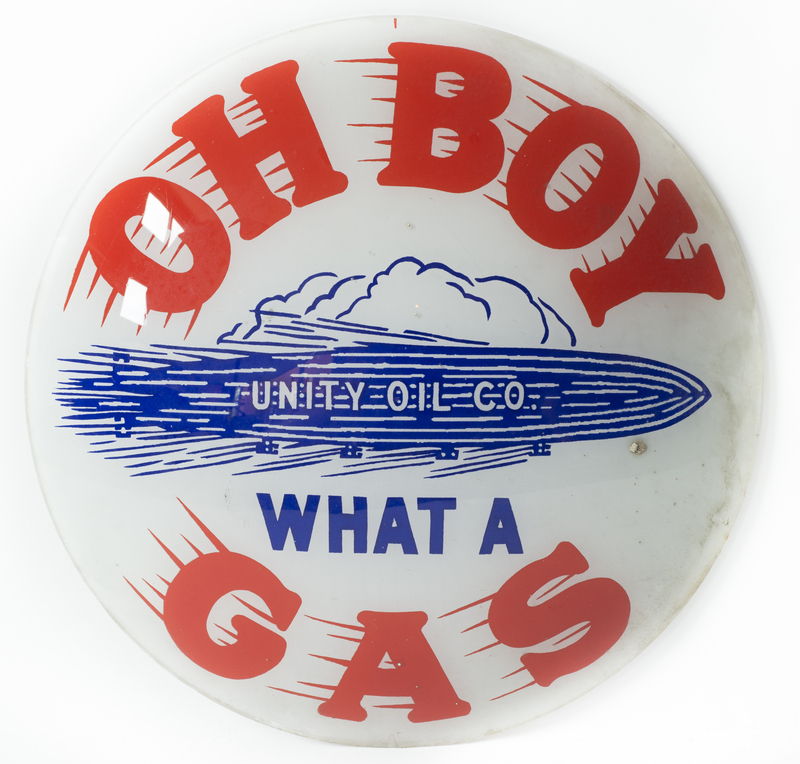 Unity Oil Company - Oh Boy What A Gas, 15" diameter glass globe lenses. Both lenses have flea bites around the rims and one has small bits of gunk stuck to the outside of the lens. 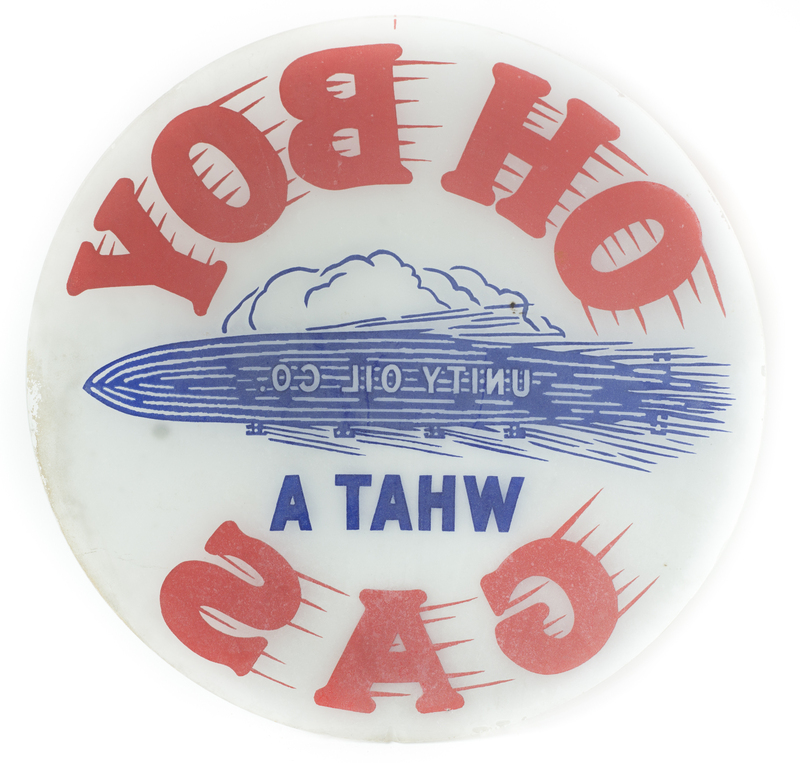 These lenses are quite rare and date to the 1920s, in the Cincinnati, Ohio area.